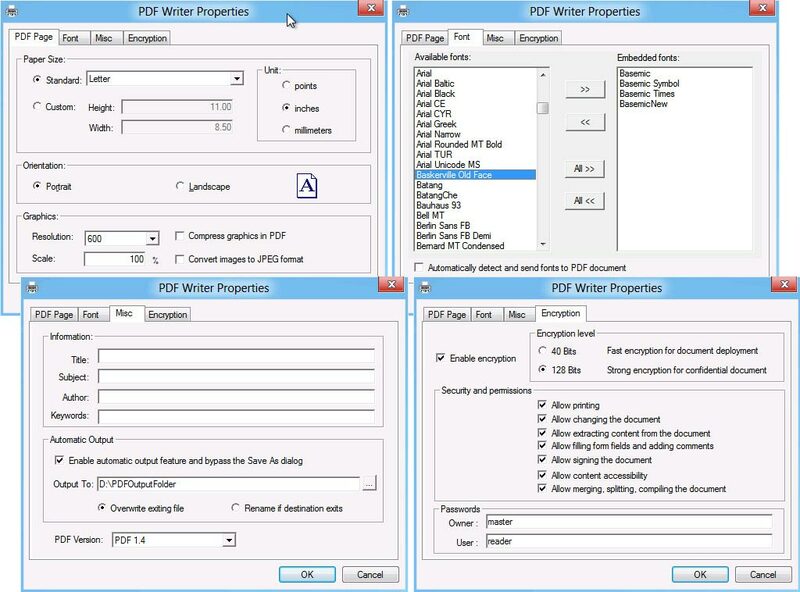 As an alternative to Microsoft virtual PDF printer namely Print as a PDF, PDF Writer for Windows 10 allows to create high-quality, press-ready, full-featured, optionally encrypted PDF files on Microsoft Windows 10 for users who have a need to better their PDF creation in super compression, password protection, access restriction, font integration, document summary, automatic output, document resolution, page scaling, PDF version options, paper margin options, and more paper sizes.PDF Writer for Windows 10 installs itself as a virtual print driver. After a successful installation, a PDF Writer printer will appear in your Printers and Faxes folder just next to Microsoft Print as a PDF printer. As a quick solution for creating high-quality, press-ready, full-featured, more secured PDF documents that can be e-mailed, published and viewed by any PDFreader such as Microsoft Windows PDF Reader, Adobe Reader. A few simple clicks will convert almost any of your existing documents to a high quality PDF files. Send MS Access tables to a blank MS Excel file. Table field names and data will be imported. Excel 2000 or higher required. Access 2000 or higher required.